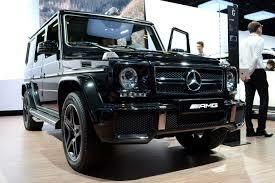 Mercedes Benz is a German manufacturer of luxury automobiles including sports and founded in 1926. In 1926, before the war, the manufacturer launches passenger car models and mainly produce trucks during the War. After the war was a turning point in the Mercedes car design by incorporating the headlights in the wings. Class E, S and SL will emerge. Mc Luxury Rental company offers many outstanding examples of German marks starting from the sedan to the sports car by excellence. A leading brand in our wide selection of vehicles that has never disappointed our customers. Limousine and sedan will be represented by the classes E, S and C. For appointments business you will appreciate the simplicity and elegance of Class E. It represents modern luxury with its “Intelligent Drive”, its many sensors cameras and the E class provides a safe driving. Our car rental company offers you the convertible version available very fashionable for your stays in the sun. Class C has as it has a more sporty with its aerodynamic design that does not disappoint any customers. More compact it is a safe bet on the road. The S500 Mercedes limousine equipped with a V6 engine proves to be a particularly efficient model. A passenger car since with his engine it will guarantee a performance driving and an unprecedented comfort. The model Maybach limousine of this incomparable elegance and unparalleled finish. The Maybach is the ultimate sophistication, its emblem on the grille and rear doors differentiates the limousine class S.
Mercedes therefore presents a range of Sedan and upmarket Limousine each having strengths infallible. Mercedes cars are also sporty models in the automotive context. One then finds the AMG class. Mc Luxury Rental presents its models like the C63 AMG. A powerful vehicle with a V8 biturbo engine guarantees sporting sensations in his conduct. 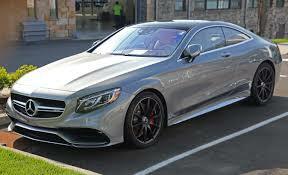 The S63 AMG is itself dynamic while being light unlike other models. Her voluptuous and harmonious shapes make it a unique sedan. If you are looking for excellence in the sport driving Mercedes you can turn to our AMG AMG GT and GTS models. These are exceptional cars, their design is pure with a long hood and sporty and sensual interior. The top of the sports car from Mercedes is in the SLS AMG with its gullwing doors with 591 horsepower. Other hand the German manufacturer has a wide range of 4×4 starting guarding a touch of authenticity as the G63 or the G500 Cabriolet with a very robust and square appearance. All Terrain Vehicles unparalleled their singular style hides a luxurious interior. They will let you in particular to address with serenity the non-traditional routes. In the category 4×4 classic but equally powerful you find in our propositons GL, GLE and GLE coupe. These models are models with elongated, elegant, refined. These SUVs are equipped with luxurious, the GL has an advanced technological equipment for your safety and comfort, GLE is the new ML with a more muscular appearance but equally dynamic. Finally Mercedes offers for your trips with family or more a Class V up to 8 people. A very stylish mini-bus full of features and a surprisingly dynamic. Mercedes is once again with go with this model. The German manufacturer with his many years of experience in the middle of automotive design allows in particular to respond to any type of land, requests from our consumers. 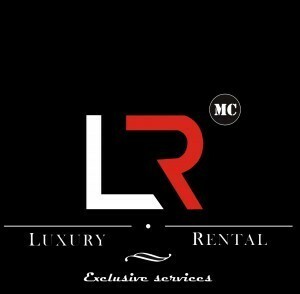 You can find the most recognized brand models for hire at Mc Luxury Rental.